Two Sundays ago, Columbia College Student Council’s general body meeting featured something rare: an audience. Lerner Hall’s Jed D. Satow Room was filled to capacity with people who had camped out to reserve their seats up to an hour before the event, and over 100 attendees were rerouted to ”overflow rooms” elsewhere in Lerner, where they watched the meeting through a Facebook livestream. The livestream video, initially shot from an iPhone propped up by a laptop sitting on a trash can, remains posted on the CCSC Facebook page, where it has over 20,000 views. CCSC’s primary agenda for the evening was a referendum proposal initiated by Columbia University Apartheid Divest. Specifically, CCSC was meant to determine whether the proposal exhibited “objective wording, feasibility, and adherence to the mission and policies of the CCSC and Columbia College,” per the CCSC constitution. If approved, the referendum question—“Do you support Columbia University Apartheid Divest’s campaign as part of the Boycott, Divestment, and Sanctions movement?”—would go to a vote by all Columbia College students. The meeting, intended as a focused deliberation on the question’s wording, instead turned into a theater for personal opinions and biases. Rather than having a thoughtful conversation, CCSC members routinely made arguments that lacked self-awareness. Most notably, members repeatedly claimed that the “divisiveness” of discourse surrounding BDS was a compelling reason to reject the proposal, yet they seemed to ignore the divisiveness of the meeting itself. The meeting was divisive because CCSC, contrary to its purported role, seemingly sought to answer the referendum question instead of debating the objectivity of its rhetoric. 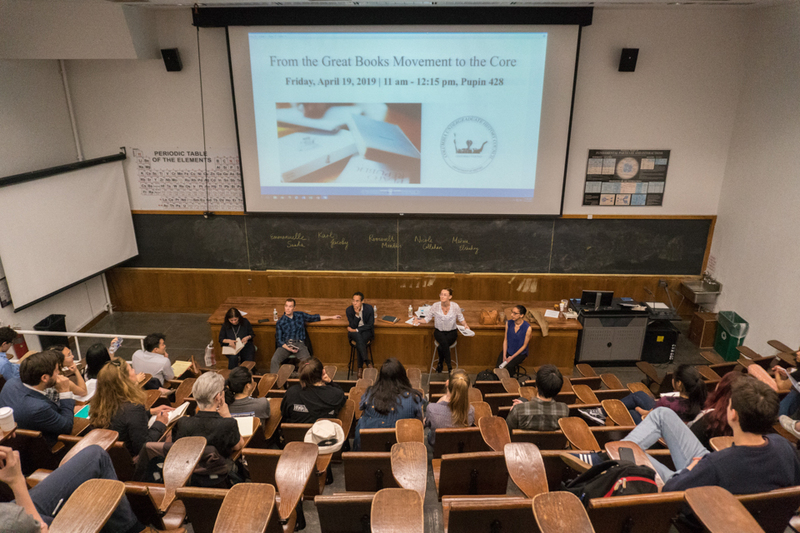 Members of CCSC and the audience criticized CUAD’s presence on campus and BDS more generally, while, on the other side of the “divide,” members of CUAD and their supporters argued that their views were unfairly being censored. By participating in this deliberation and proceeding to reject the proposal, CCSC took a deeply hypocritical and arrogant stance: that we—as a “representative” body along with our limited live audience—could debate the merits of CUAD and BDS, partake in “divisive” discourse, and weigh students’ feelings of marginalization, but that it would be “too much” for the discussion to leave Satow, even in the form of a poll. This stance took a sharp departure from precedent; CCSC typically enables divisive speech to be expressed and debated, rather than preemptively silencing it. 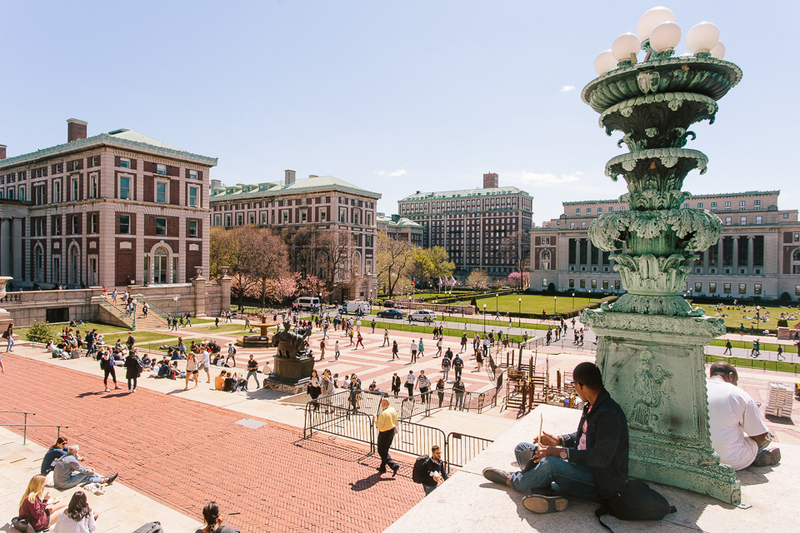 For instance, CCSC frequently funds the activities of groups such as Columbia Right to Life, whose views might conflict with those of the campus majority. We even fund Students for Justice in Palestine and Jewish Voices for Peace, the two student groups that founded CUAD; through the Student Governing Board, we enable them to pursue “divisive” events, such as Israeli Apartheid Week. Yet, for some ill-defined reason, we drew the line at a referendum. In using these arguments to avoid making a “political statement,” CCSC made a profoundly troubling one. The way CCSC sought to create a so-called cohesive community was not by enabling engagement with issues that might already be creating divides, or even by gauging student opinions, but rather by taking the first chance we had to distance ourselves from these issues. CCSC’s claim that the decision was “apolitical” was false in another sense—CCSC members, as individuals, were not uninfluenced by political considerations. Even before the meeting began, members lobbied others to vote against the proposal. Some expressed fears over their “political careers” if they supported certain views on the record, and the possibility of public online defamation further chilled the debate. The issue wasn’t political pressure in and of itself. Even when given the option to mitigate these factors, CCSC overwhelmingly rejected a secret ballot, favoring ostensible “transparency” over honest, unpressured voting. Here I wondered whether CCSC meant to hold an actual, open-minded deliberation or, rather uncannily, to merely enact a ready-made version leading to a known outcome. Indeed, when the meeting began to seem increasingly atypical and the possibility that we could table the discussion was introduced (as Lerner was about to close), CCSC chose to rush the deliberation instead of revisiting it at another time. Seemingly knowing that the outcome they desired was likely to be realized in a last-minute frenzy, members of CCSC who opposed the proposal blocked a motion to table the discussion. 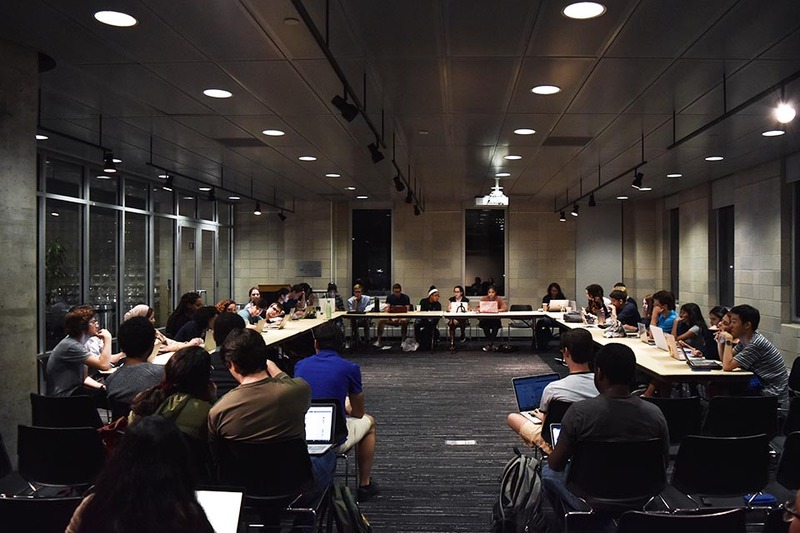 We understand that matters of such gravity are never sufficiently addressed in the near-term, but when we shoehorn the discussion to Lerner’s building hours and confine it to our own roundtable, we insult the issue, ourselves, and our fellow students. CCSC had a crucial opportunity to affirm that we do not subjectively assess the “divisiveness” of conversations, to engage the student body with a relevant issue, and to recognize the rights of all students to be heard through referenda. Instead of seizing this opportunity, our mishandling of CUAD’s proposal reinforces to CUAD, to each of the 12 student groups—as well as SJP and JVP—who endorse it, and to the Columbia College student body that CCSC remains out of touch with some of students’ most fundamental concerns. While this year’s CCSC has proven itself to be incapable of adequately addressing activist issues, the same does not have to hold true moving forward. CCSC will inevitably again have an opportunity to work with student activist groups; when it does, members should set aside their canned arguments and political biases to make a more self-aware and thoughtful decision. The author is a senior in Columbia College studying computer science and statistics. 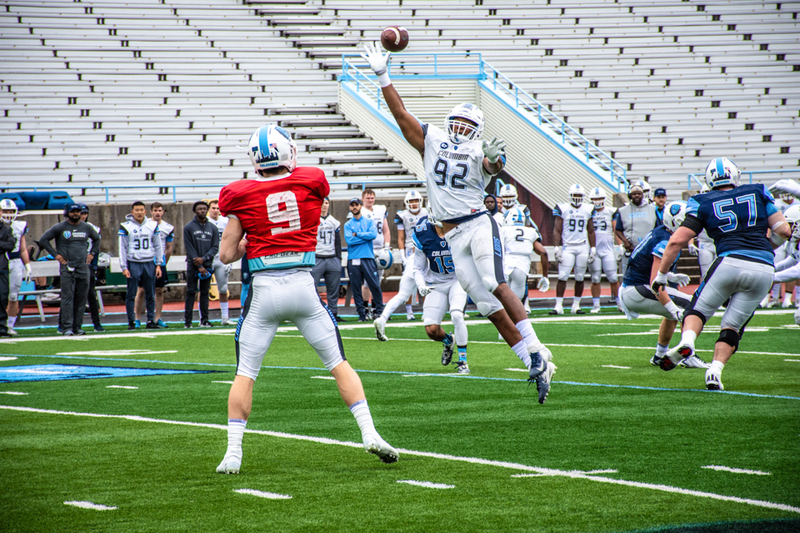 He is also currently the vice president for finance of the Columbia College Student Council and one of five members who voted “yes” on the Columbia University Apartheid Divest referendum proposal.